We would like to thank Kensuke Fukuda for joining us as a visiting scholar from September 2014 to January 2015. It was great having Fukuda-san join us from the National Institute of Informatics in Japan and share is interest in network measurement and DNS. Watch here for details about the technical results of his visit. 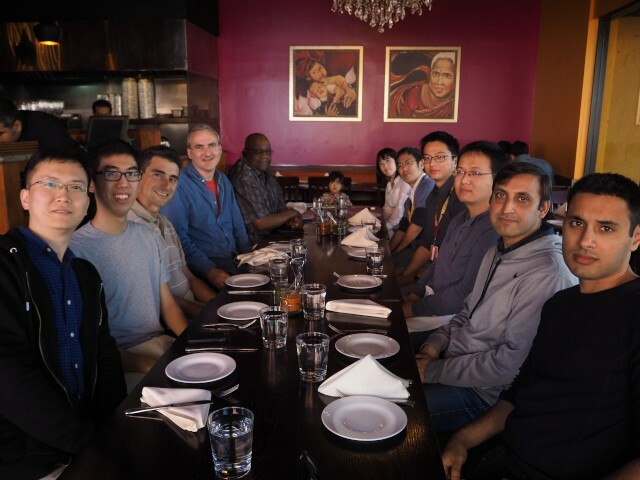 For now though, a photo of our going-away lunch with Kenuske, his family, and most of rest of the ANT lab taken in January 2015. The going away lunch for Kensuke Fukuda (fifth from the right), celebrating his visiting as a scholar, with the ANT lab. This entry was posted in Uncategorized and tagged isi, social, usc, visiting scholar, visitors. Bookmark the permalink.